Here we have listed a few ideas we think you could use as guidelines to help you have a positive ball python buying experience at a show. Do your homework BEFORE you go to the show. Learn all you can before you buy. Buy a good book about ball pythons. Call some breeders, ask questions. Join your local herpetology club. You may meet people there with your same reptilian interests. Have your habitat set up before you make your purchase. While at the show, have fun. Look around, talk to the vendors. Please remember not all vendors are breeders. Have questions already thought out that you wish to ask sellers about the ball pythons they are selling that you may be interested in purchasing. Whenever possible, buy captive bred from a responsible individual. We can not stress this enough. You are buying a snake that can live 40+ years. 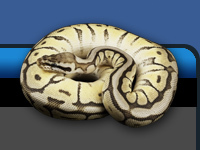 Spending a little more for a quality ball python will save you a bundle in the end. Avoid buying one from a tank filled with ball pythons. Make sure the ball python you are buying is alert, healthy and free of mites and ticks. Get the name and information of the person you are buying from at the show. 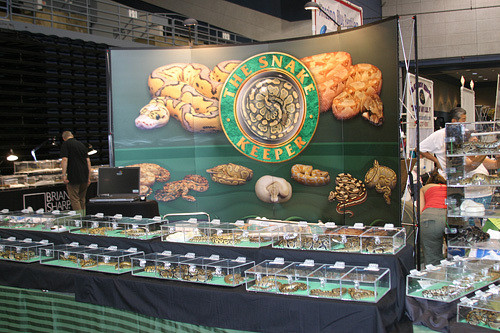 We can not even begin to count the number of phone calls and emails we receive from people who have recently bought a snake at a show and it will not eat, it has mites, ticks or in some cases it has died after a few days. When we suggest they contact the person that they purchased the snake from many times they do not know who they were or how to get in touch with them. Spend the extra money and get a quality snake from a quality breeder. After you have made your purchase and leave the show, be sure to take your new snake directly home. Too many times people decide to stop here or there and they leave their new snake in a hot car and it dies. There are also times when the container is not secure enough and the snake escapes into the car. Hopefully by being aware of these simple things you can avoid some common mistakes that others have made. Enjoy the shows, we look forward to seeing you there!